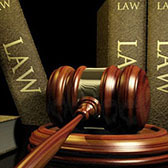 Civil litigation is an area of law that encompasses a broad range of lawyers who prepare and prosecute lawsuits in courtrooms involving a dispute over any tort, contract or special proceeding. We often think of personal injury, real estate litigation, and medical malpractice as these types of cases. While all of the aforementioned areas fall into the category of civil matters, they are many, many more in which a lawsuit is needed to protect the rights of our Norwell, Massachusetts clients, either as a plaintiff or as the defendant. Personal injury law covers a broad array of issues when there has been a physical or emotional injury, or damage to property. The law of personal injury deals specifically with determining who is responsible or liable for causing said injury or damage, and how much money the responsible party should legally be held out to pay. Personal injury law can be classified in three broad categories: negligence, intentional torts, and products liability torts. The Law Office of Stephen M. Dodd has the necessary experience to either defend you if you've been served with a personal injury lawsuit -- or to collect as much money as possible if you have been injured (or your property has been damaged). We will work tirelessly and zealously on your behalf, just as if the case were our own personally. If you have been injured at work, it is imperative to hire a skilled and experienced lawyer who can effectively handle your worker's compensation benefits claim. It is also vital to retain an attorney who knows the ins and outs of the process, including the filing of a personal injury claim. The Law Office of Stephen M. Dodd makes the process of filing for worker's comp benefits as simple and straight-forward as possible. In essence, we will oversee every aspect of your case, including identifying responsible parties and filing of claims. It should be kept in mind that worker's comp only pays injured employees for medical expenses and a certain percentage of lost income. That is where a personal injury claim comes in. These claims can compensate you for the true scope of the wages you weren't able to earn, as well as pain and suffering. Patients place an enormous amount of trust in the medical professionals we see on a regular basis. Physicians and nurses are expected to act in our best interests, but that unfortunately is not always the case. Accidents do happen and when they, someone must be held accountable. If you have been injured or are sick because of the negligence of a medical professional, The Law Office of Stephen M. Dodd can help recover damages. We will fight to ensure those suffering from medical malpractice get the benefits they rightfully deserve. We have handled a vast range of medical malpractice claims involving doctors, surgeons, nurses, dentists, hospitals, and other medical institutions throughout Norwell. Some of the cases we have handled include birth injuries, misdiagnosis (or failure to diagnose) cancer, delays in diagnosis, improper consent before surgery, improper treatment of a disease, and errors as they relate to surgery, medication, anesthesia, hospital and emergency rooms, and nursing home abuse. It is important to remember that employers are prohibited from retaliating for reporting employment discrimination, filing a discrimination lawsuit, or for participating in an investigation of any such discrimination. For those reasons, you should not be afraid to contact The Law Office of Stephen M. Dodd to pursue your rightful protections under the law. If you have been injured or wronged by another party and are considering the initiation of a civil lawsuit in Norwell, Massachusetts, or anywhere in Plymouth County, please contact The Office of Stephen M. Dodd today. Initial consultations are always complimentary and would welcome the chance to speak with you.